More people than ever are making skiing videos of themselves and their mates and uploading them to social media for their friends to enjoy. Which means that you need to be making slicker edits to make yours stand as well as promoing your skills. All this means a thirty minute, unedited, shakey headcam shot won’t cut it. Not even your mum will be interested! So it is time to up your game and make some slick look vids. Here are our top tips. Realistically you need to be buying a Hero5+ or above. They are fully waterproof [Read snowproof] without the cumbersome outer casing of the older cameras. The latest Hero7 release has a variety of version to suit any budget. Each version comes with a range of features from super x8 slow-motion capture to differing levels of video stabilization. You can get the basic Hero7 White from £200 online, but we recommend getting a Hero7 Black as it has been tweaked to be the ultimate adventure camera. 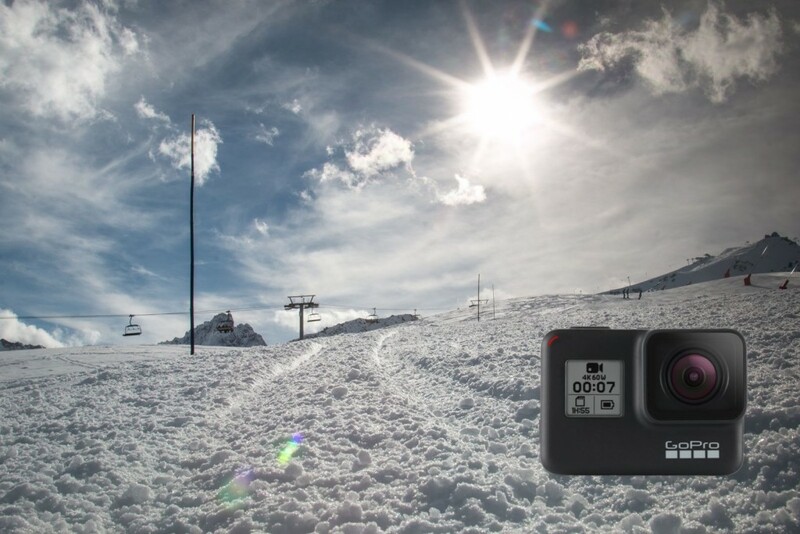 GoPro image set up for skiing. 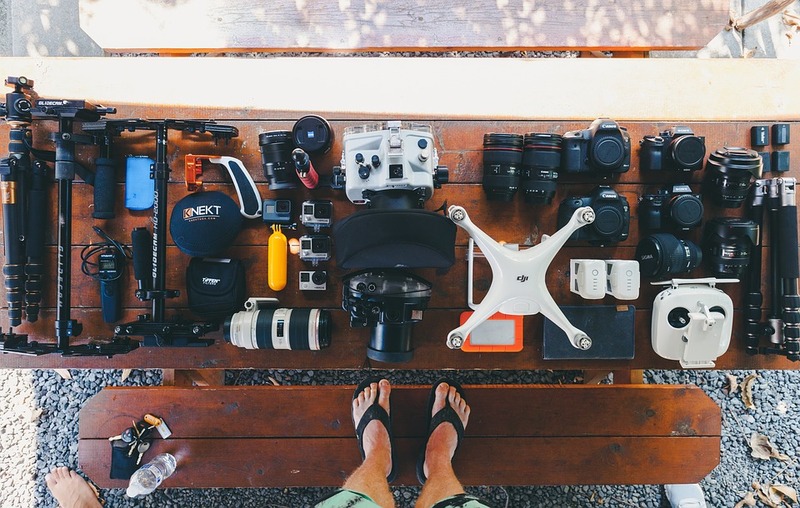 Before you head out to make your movie make sure you set the record-setting to capture the best images of your adventure. Go for a higher Frame Per Second (FPS) 60 FPS or more. This will give you a cleaner image and also make any clips you want to slowdown look even better. If you want to get the best quality finish you need to set your resolution as high as your GoPro will allow. The high-end version will allow for 4-5k video capture. At that level, you will use up memory cards fast so if you only have one you will probably capture great video set at 1080p. To get your snowy shots looking super white set your GoPro to Protune and bump up the Exposure Value ( EV) for added crispness. If you want to make a compelling video that will capture your viewers, it is essential to have a plan when you head out on to the slopes. Think hard about what you want to film and the “story” you want to tell. Take inspiration from ski and snowboard movies you have watched. When you are out on the mountain to get some planned shots on your SDcard but also experiment, try new angles and see if they work. If you want to feature more of you in your edit, then you are going to need to rope in someone to capture you. When you head out filming, there are two significant bits of kit that will make your movie look pro. The first is a gimble. This bit of kit will help stabilize your image and allow you to create smooth shots of your subject. There are loads on the market you to procrastinate over, but you would do well if you invest in the Karam Grip, GoPros own tool. A cheaper option is the LanParte Gimble that comes with a variety of add-ons and is also smartphone compatible. And the other bit of kit is a drone. There are 1000’s on the market, and the subject really deserves its own blog. If you are using one, we do recommend that you check the local laws on their use and behave responsibly. 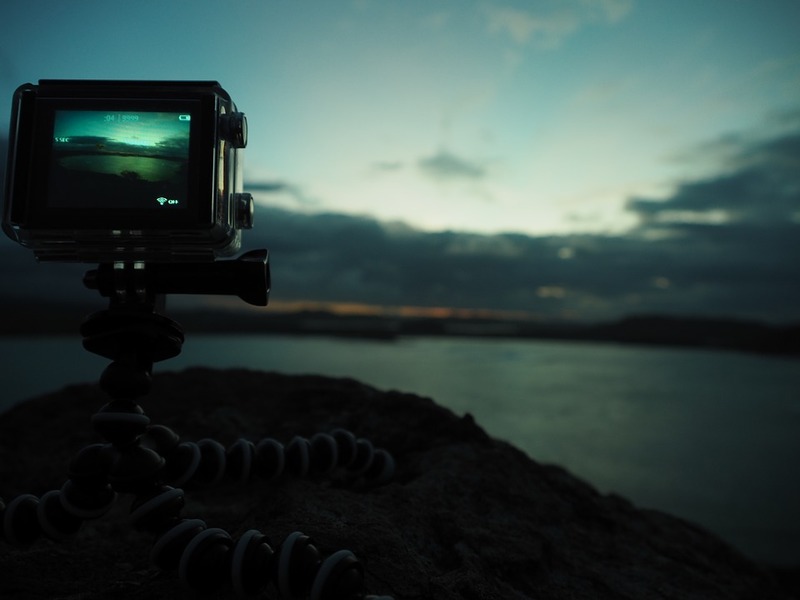 The GoPro is known for its versatility when it comes to mounting it on yourself and your kit, but what are the best options. 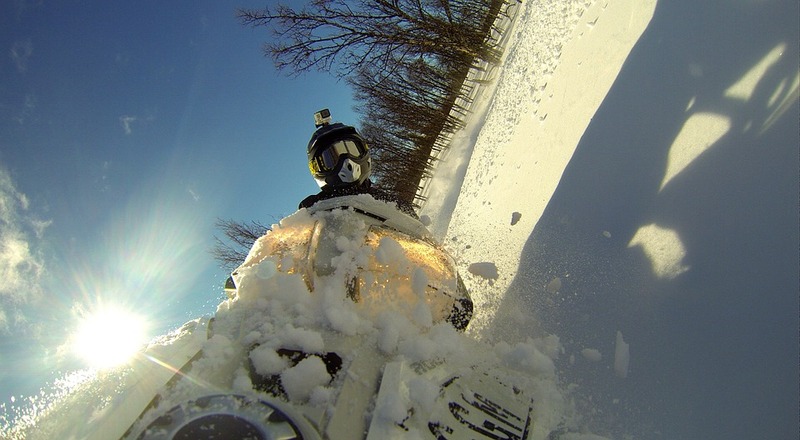 Mounting a GoPro to a helmet is a popular option, but this does deliver the worst results. Heads aren’t very still or stable, so you will end up with loads shakey images of you looking behind to find your mates. A nice but slightly silly looking option for a head mount is the 360 swivel mount like the GoSpin360. This can help you capture great selfie vids, as well as decent follow shots. A key thing when using a mount is including something that give the viewer a point of references like your head, body or skis. Try to make sure you don’t wholly obscure the shot with yourself. If you are heading out on your own but want to capture the moment try a chest mount. Check the video below where Chris Davenport shares his top tips for chest mounting. Finally, try a pole mount – Essentially this is just turning your ski pole into a selfie stick. But its simplicity is the key. You can capture a wide range to shots with it without the need to carry around the extra kit. Altitude and cold will drain your battery fast. So make sure you have some backup ones. We have found the Smatree 3 pack replacement set to be a great option. 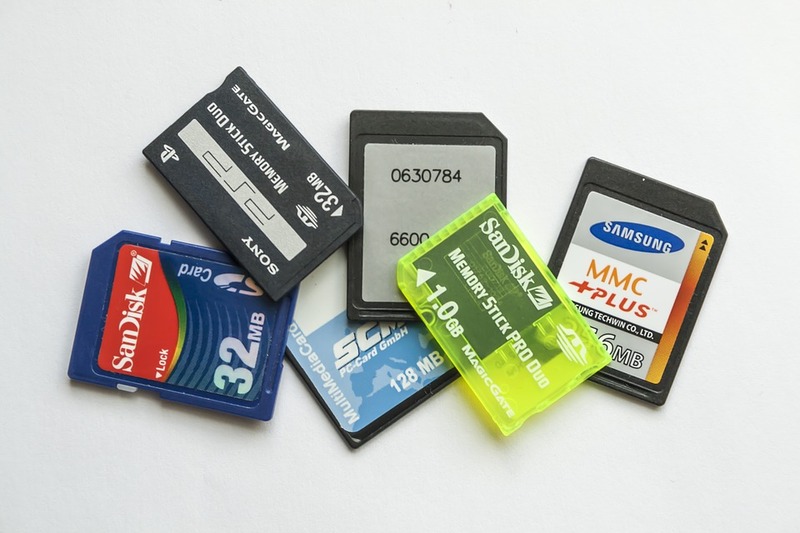 If you are filming in 4k high def always carry some spare memory cards around. Also before you leave the house check your memory card is in the camera to start with! Only include the best footage that either looks great or includes exciting moments. Life is to short to watch your whole day. When you buy a Go-Pro, you get access to the in-house editing suite with a variety of post-production options, and you can create some excellent edits from this. 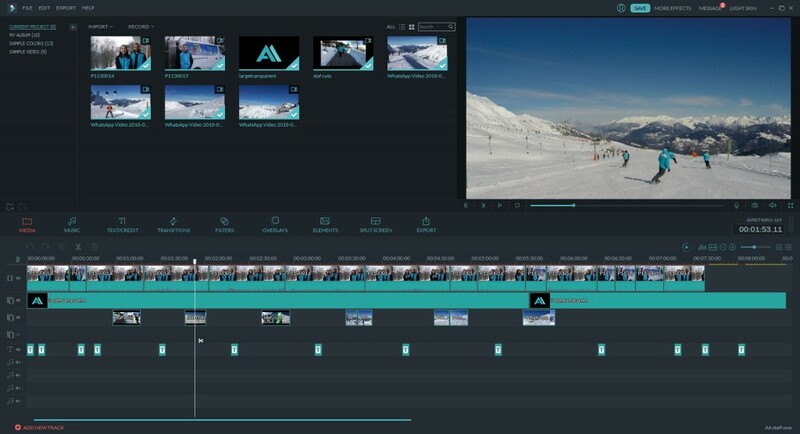 We also love using filmora an excellent editing suite that is affordable and easy to use. It has helped us produce many of our shorts over the years. Happy film making – We would love to see your ski flick so make sure you tag us or send us a message once you have hit that publish button. This entry was posted in Life in Ski, News, ski and tagged gopro, ski, skiiing. Bookmark the permalink.